So it’s been a while but I think it’s safe to say that I’m back in the zone! The spinning wheel is out and I’m loving it. 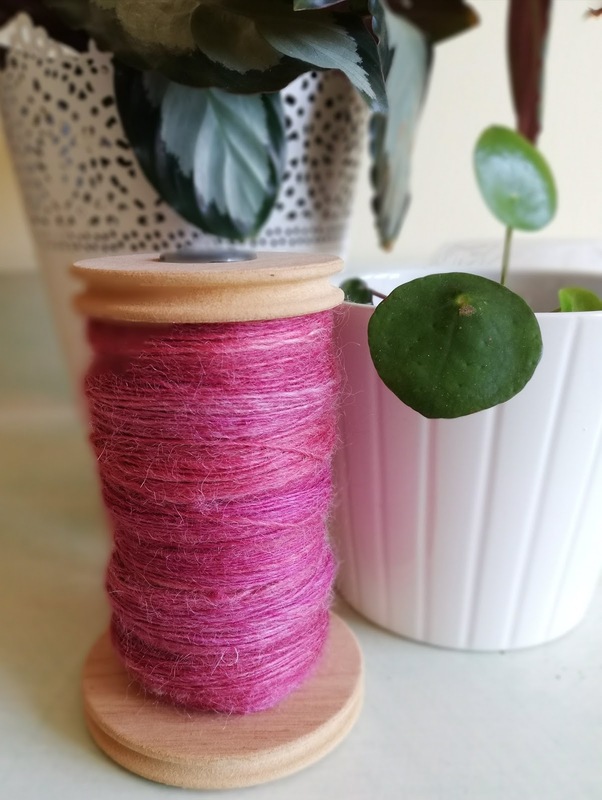 Loving the calm rhythmic movement of fibre flowing through my fingers, watching the bobbins fill with gorgeous colour, enjoying the meditative process that spinning is. 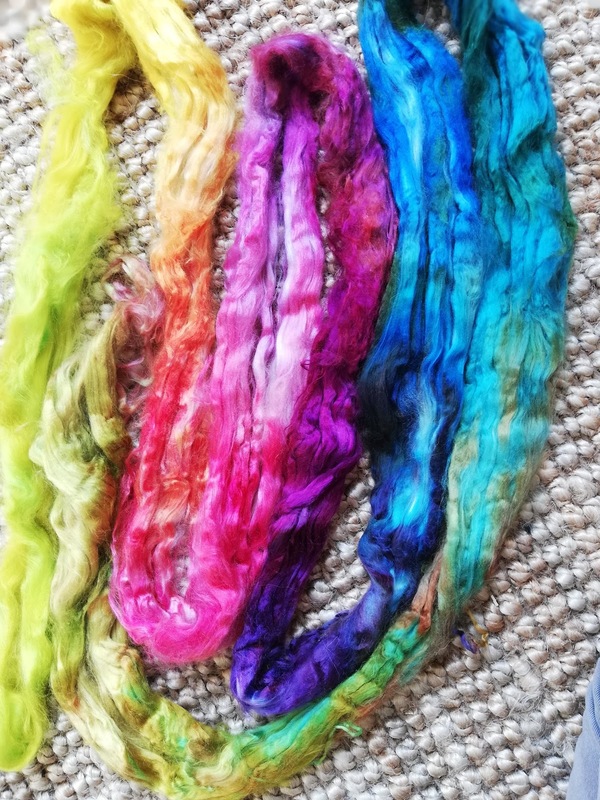 I’ve been spinning some beautiful Alpaca and silk that I dyed AGES ago. 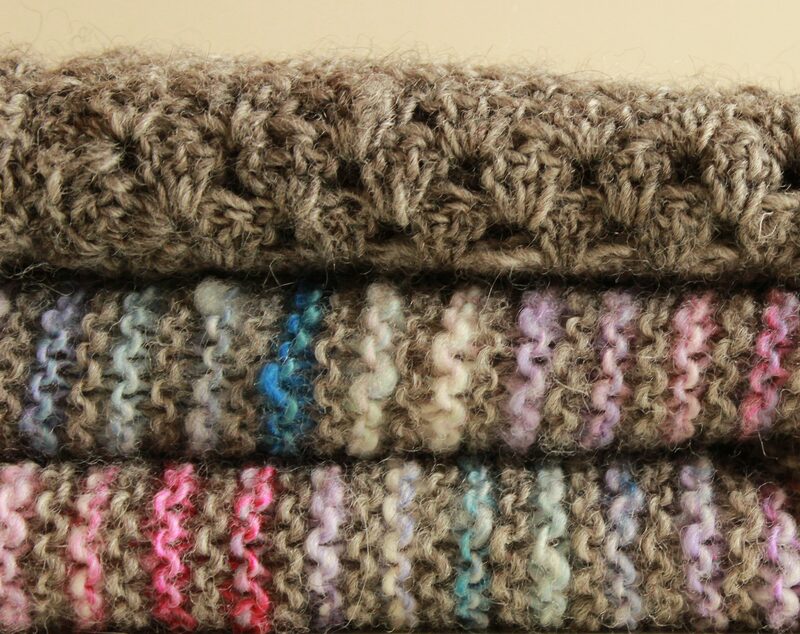 It’s very soft and fluffy but spins up really well wanting to be thin and sophisticated. I’ve also been admiring this beauty, I know a rainbow landed on the rug! 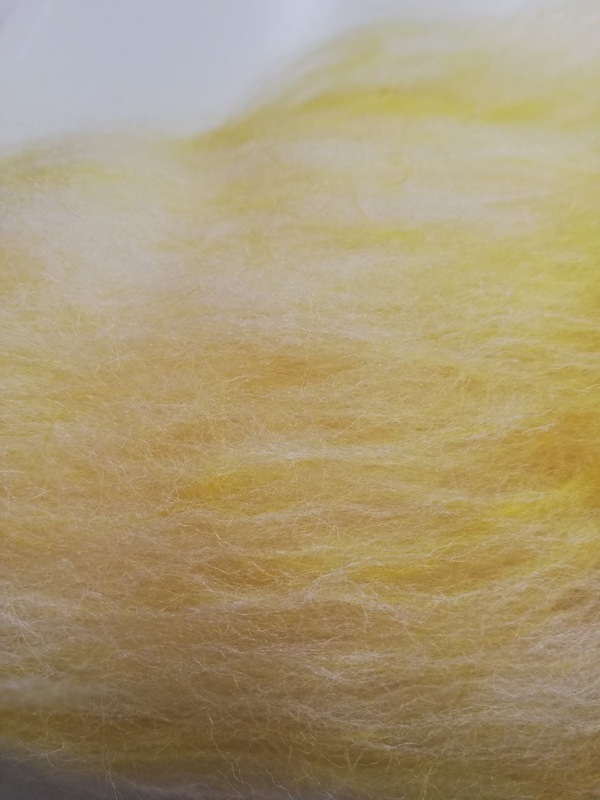 It’s Milk Fibre, it take dye amazingly well, it’s incredibly fine and slippery. I tried spinning it ‘neat’ but it proved impossible so I’m carding it with Merino. 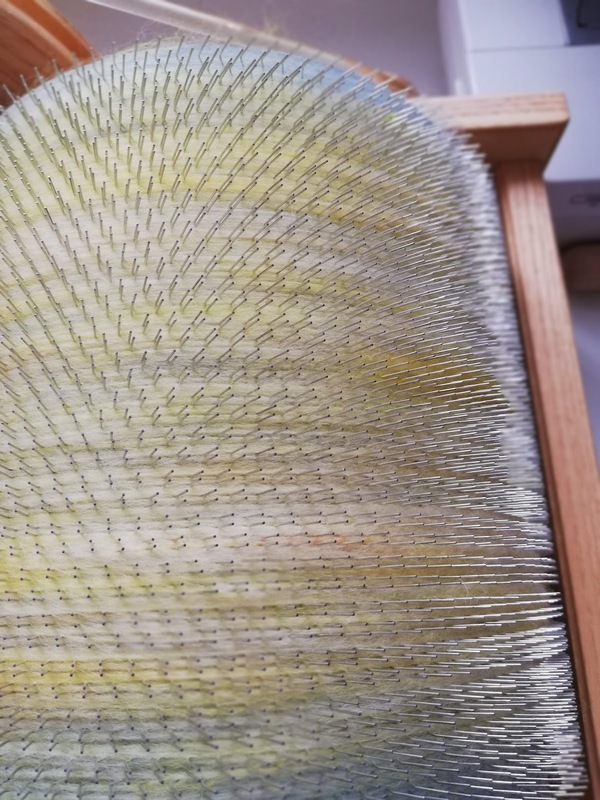 I’m really pleased, I’m a carding newbie but again it’s a wonderful process which I find completely absorbing. I’m planning on carding each rainbow colour separately I’ll let you know how it goes. Next PostSame Blog new home.Welcome!